The world is moving towards smaller capacity engines that offer similar outputs to their larger capacity predecessors. This especially is true among petrol engines, but in diesels, the gains haven’t been as prominent. Diesels however have shown quantum leaps on the refinement and efficiency front and India is just about getting the taste of that in mass segment cars. The Honda City and Maruti Ciaz are prime examples. But none have dared to or needed to build a pint sized engine that’s sole purpose will be to be as cheap to buy as to run. Sure there are the Hyundai Grand i10 and Chevrolet Beat 3-cylinder diesels that have been the entry point to diesels in India but could they have gone further and would that have been feasible to develop are questions Maruti Suzuki has answered with this new 793cc 2-cylinder engine. 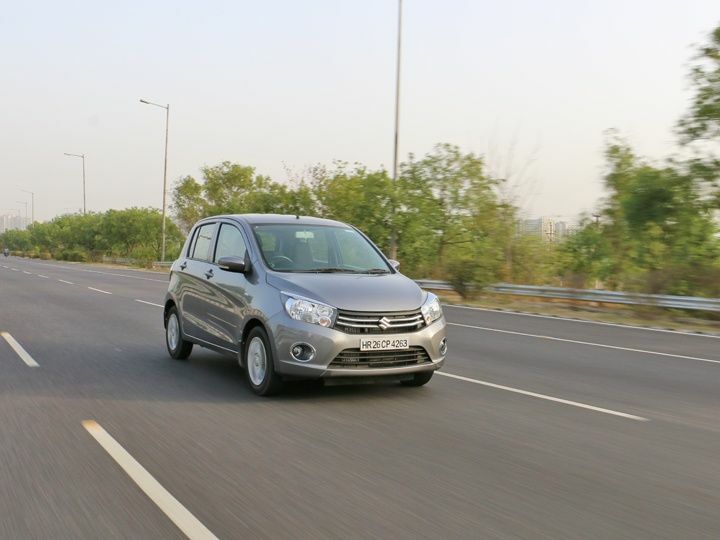 The Celerio is the first car from the Maruti stable to get this engine and we’ve taken it for a quick spin to find out if anything but underwhelms us. All things said, the Celerio diesel is a car for the office commute for two. Any more passengers or luggage loaded and the engine will feel strained and out of breath to lug the extra weight. If there’s one thing Maruti Suzuki wants to excel at, it is fuel efficiency. This engine has been developed with the sole purpose to provide headline worthy economy figures and as of now, Maruti achieves that. With an ARAI certified mileage of 27.62kmpl, the Celerio is the most efficient diesel car in India. In the real world too, expect over 20kmpl on a highway run and between 18-20kmpl in city use. The Celerio is also the most affordable diesel car in India, about Rs 60,000 cheaper than the Beat and Rs 1 lakh cheaper than the Grand i10 in top trim. That’s a new baseline for diesels other carmakers will find hard to beat. One tends to make preconceived notions about things that are out of the ordinary. A properly functional two cylinder diesel engine with a more than acceptable gearbox and efficiency that would impress the worst of misers, all clubbed together in one package, is something I had not expected out of the Celerio diesel. For buyers on a shoestring budget doing fairly long distances in the city on a daily basis, the Celerio diesel is ideal. It’s not your highway car or the car to buy if you can stretch your budget by Rs 50,000-1 lakh, but at its price point, the Celerio diesel does make a solid case for efficient motoring. Share your experiences with Celerio? Confused about Maruti Suzuki Celerio?